In this unique and interactive keynote, Elinor Whitmore and Marc Spooner will lead participants in crucial conversations about the impact of surveillance, accountability, and audit culture on the academy. With close attention to both the substance and process of argument, they will challenge us to think creatively and critically about how best to promote student learning and engaged citizenship, while workshopping skills to help us disagree effectively and productively. Elinor F. Whitmore, B.A., LL.B., LL.M., C. Med is Vice President of the Stitt Feld Handy Group, a division of ADR Chambers, and is a mediator, facilitator, workplace consultant, and certified professional coach. 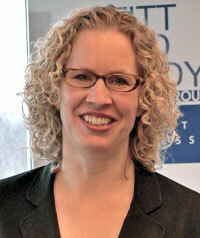 Prior to joining the Stitt Feld Handy Group, Elinor practiced as a lawyer and mediator. Elinor's primary focus is to help people deal with issues and resolve conflicts in the workplace. She helps her clients to have difficult conversations, resolve conflicts, and improve workplace functioning, communication and morale. Since 1992, Elinor has mediated all manner of workplace conflicts and has been awarded the designation of Chartered Mediator. She has worked with executives, directors, senior managers and other to improve their capacity to resolve conflicts, have difficult conversations effectively, manage difficult people, and help further develop their high performers. Elinor teaches mediation, conflict resolution and how to deal with difficult people and have difficult conversations. She has taught throughout Canada, the United States, Australia, the Caribbean, and the United Kingdom. Elinor is qualified to administer the Myers-Briggs Type Indicator and has been certified as a professional and personal coach by the Adler School of Professional Coaching. 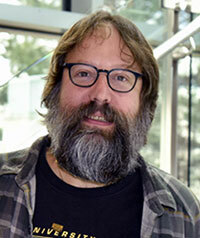 Marc Spooner is a Professor in the Faculty of Education at the University of Regina. His research interests include: homelessness & poverty, audit culture and the effects of neoliberalization & corporatization on higher education, and social justice, activism, & participatory democracy. He is co-editor, with Dr. James McNinch, of Dissident Knowledge in Higher Education (2018) University of Regina Press.